Dirty Jobs – Somebody’s Got To Do Them! During this time of the year, millions of seniors in high schools across the U.S. are graduating and moving onto the next phase of their life’s journey. Seems like a good time to highlight and quote some of Mike Rowe’s insights and (researched) opinions of the opportunities available to these young adults. Rowe said there are 5.6 million job openings waiting to be filled in fields that for the most part do not require a bachelor’s degree. The former “Dirty Jobs” host stated he’s sent letters to both former President Barack Obama and President Donald Trump drawing attention to that fact and has testified before Congressional Subcommittee on closing the skills gap. “It’s a sucker’s bet … You have to be talking about jobs that are uniformly cared about,” Rowe said, referencing many trades where such job openings exist. Rowe said that taking vocational-technical training out of high school curricula helped accelerate the skills gap, in that it taught “a whole generation” that the best path to success is a college degree. Currently, the U.S. has over a trillion dollars of student loan debt, record high unemployment and three million good jobs that no one seems to want. Today, Mike runs the mikeroweWORKS Foundation, which awards scholarships to students pursuing a career in the skilled trades. He is closely associated with the Future Farmers of America, Skills USA, and the Boy Scouts of America, who honored him as a Distinguished Eagle Scout. 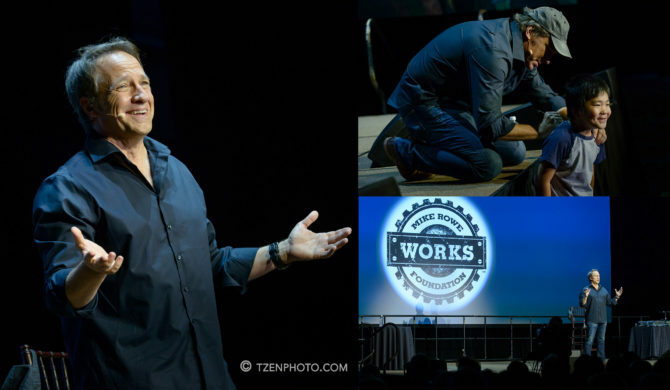 In addition to his foundation, Mike’s website, mikeroweWORKS.org, focuses on all the issues related to the widening skills gap, aging workforce, high unemployment and millions of unfilled jobs. It also provides comprehensive resources for anyone looking to explore those vocations, as well as continue to focus the country on the real dilemmas facing our trade workers, miners and farmers. For those so inclined, you can listen to a new episode of Mike’s Podcast: “The Way I Heard It”, every Tuesday.